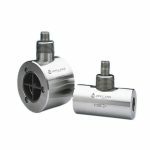 Ideal for high pressure applications, such as in hydraulic testing, as well as chemical injection systems. 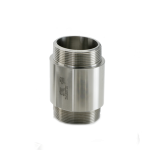 Ideal for low viscosity fluids flowing under extremely high pressure, such as hydraulic and fuel systems and offshore chemical injection systems. 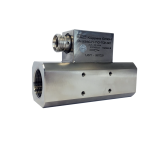 Fitted with completely sealed off electronics, this turbine is ideal for use in subsea hydraulics and chemical injection where the meter needs to be closer to the injection source. Ideal for use in industries including dairy, brewing, wine production, food processing and pharmaceuticals. 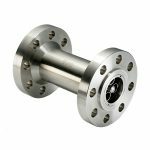 Ideal for high performance flow measurement in aggressive environments, where space is limited and installation needs vary. 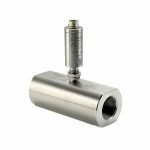 Ideal turbine flow meter for monitoring solvents and other lower viscosity fluids, such as antifreeze and fuel measurement. 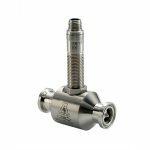 Ideal to withstand the demands of the most rigorous flow measurement applications and is an ideal meter for liquid flow measurement on or off the oilfield.